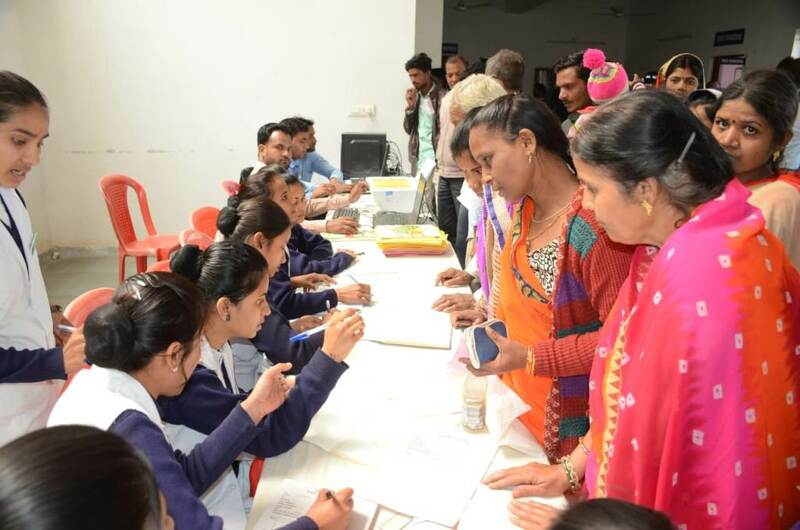 Feb 28, 2019 (WTN): Equipped with modern health facilities Super- Speciality care of People’s Hospital organized mega health camp in Vidisha city. 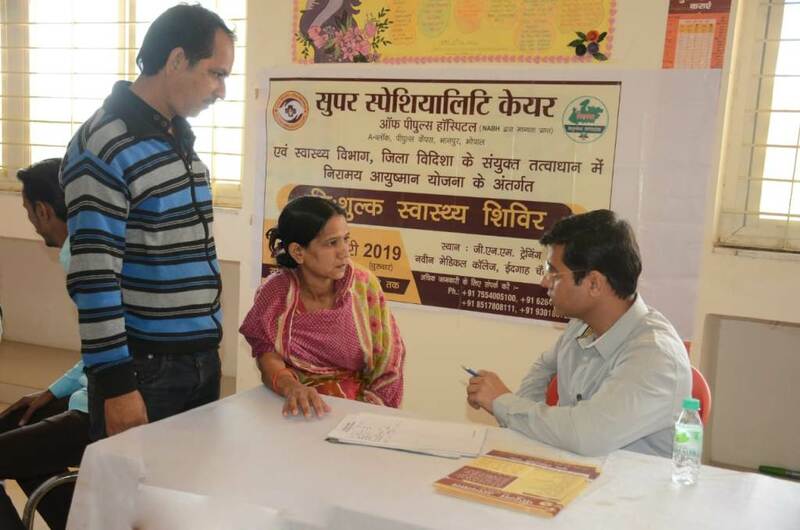 With the motive to provide big scale benefit, this camp was jointly organized with "Niramaym" Aayushman yojna of Government of India at G.N.M training center of Naveen Medical College at Idgah Crossing Vidisha. Gracious presence and cooperation of District administration and health department officials make this camp more successful. Medical college and training center staff also provides their cooperation. 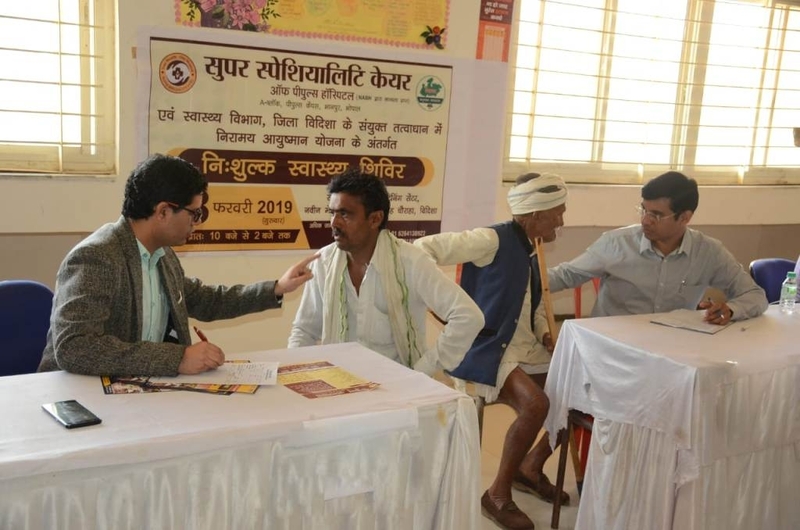 Specialist doctor’s team of super specialty care hospital provided free consultation and health checkup of the patients gathers in this camp. Doctors also paved the information and the process of treatment of incurable diseases. In this camp Several consultation and treatment related with plastic and cosmetic surgery, hair transplant, brain, muscles, nerves, muscles and spinal cord related therapy and surgery, chronic disease in children and Surgery, Obesity, Diabetes, Thyroid, hormones related disease sterility, gall bladder, uterus, all kinds of kidney disease and diagnosis, laparoscopic treatment of all type of gastro related diseases, operations of gall bladder and stones and consultation related with glaucoma operation been provided by specialist doctors. The super-specialty Care of People's Hospital is equipped with advance medical facility and treatment and surgery with modern techniques are available here 24*7. Surgical Halmium laser machine of this hospital is pioneer in central India. Specialist doctors can perform complex telescopic operation easily by Halmium laser machine. The specialist doctor’s team of super specialty care provides consultation as well as treatment of complex diseases. For emergency condition Modular Operation Theater, modern Intensive Care Unit (ICU) with super specialist doctors along with comfortable, private and deluxe rooms are available at super specialty care in the People’s hospital.